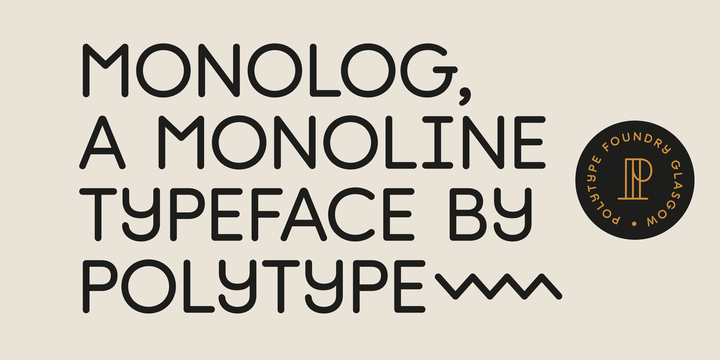 Monolog is a monoliner typeface created by Lewis MacDonald and published by Polytype which is available in 6 weights and stand-out features. This versatile font was designed to be suitable for monoline illustrations, logos, signage, branding but also for web, app design. This contemporary font can be use in many applications and themes. Price: starting from $20,00 for one font to $120,00 for all 6 fonts. A font description published on Thursday, October 27th, 2016 in Fonts, Lewis MacDonald, Polytype by Alexandra that has 2,768 views.